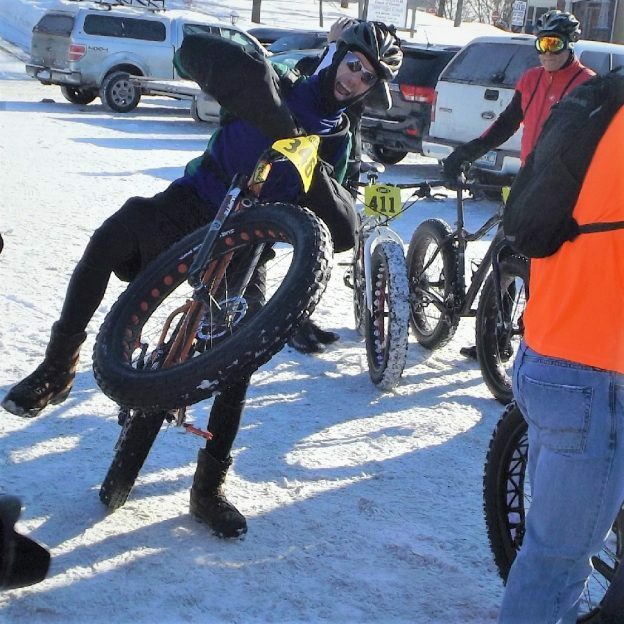 Snow, ice and cold are excellent conditions for Fat Biking, but how do you keep your fitness if fat biking isn’t your thing? Luckily, there are tons of exercises, drills, and products to help you keep you in shape through the winter months. Even the smallest efforts help you stay fit. Trying things like taking the stairs rather than the elevator, parking on the opposite side of the lot and walking when shopping or taking time in the evening to go for walks around the neighborhood will make a big difference when the riding season comes back around. You can also start putting some time in at the gym. In the past, I had a gym membership that I would turn off except for three months a year. I enjoyed yoga classes, weight training, treadmills, spin classes, as well as all sorts of other gym related activities. 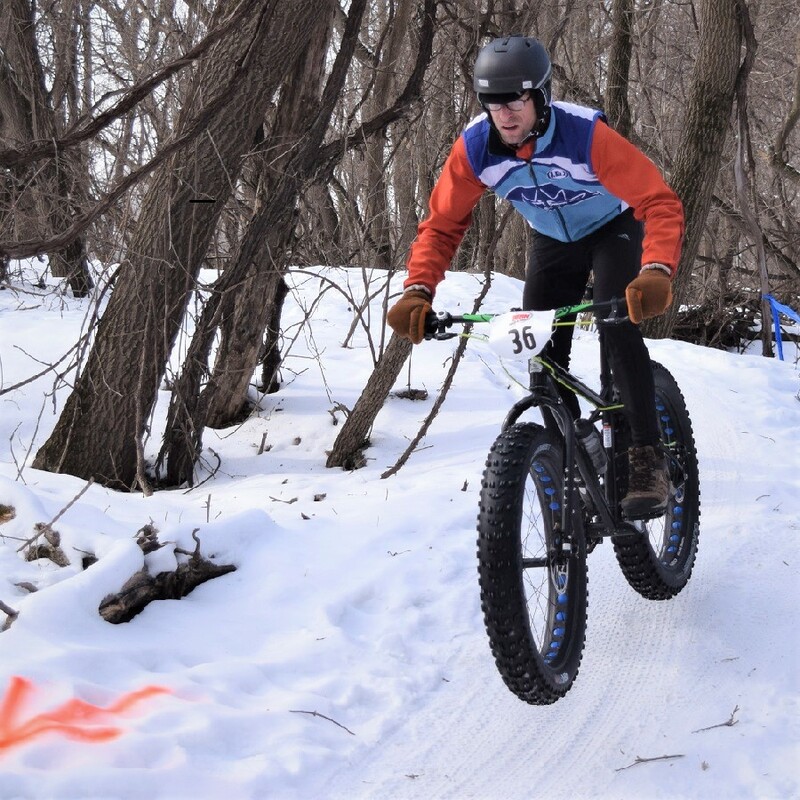 Besides fat biking (which is the best winter riding option) you can enjoy your bike through the winter by buying an indoor trainer. An indoor trainer holds your bicycle upright and offers resistance when you pedal, thus turning your bike into a stationary bicycle. 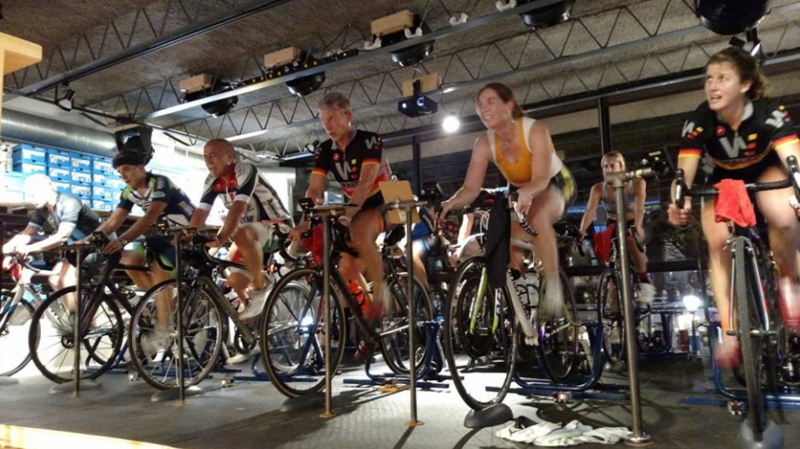 When using an Indoor trainer, you can ride from the comfort of your own home or in a group setting. Most bike shops have trainer nights in their stores through the winter. If you join a shop’s group trainer ride, there is usually a leader. However, riding alone can still be fun. Most people start riding their trainer while watching TV and it’s a great plan at first, but that quickly gets boring. I find it interesting to use trainer specific workouts online. There are plenty of free and for-pay versions. Additionally, depending on the trainer you buy, some of those workouts will change the resistance through your trainer. Most gyms offer spin classes. These classes use a stationary bicycle, music, and instructors to guide a course through a one-hour workout. These rides are enjoyable and offer an intensity that is difficult to achieve riding alone at home. 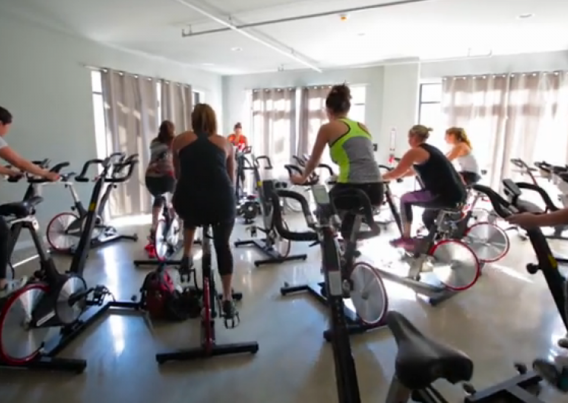 There are, however, a few downsides with spin classes to keep in mind. One issue is that a spin bike won’t fit the same as your bike. Many riders will install their saddle and pedals on a spin bike before each class. The other potential problem is that the courses you can select, are not tailored toward your personal goals. The levels are usually high tempo, high effort workouts that might not fit with your training plan. If you live in a colder weather climate and snow is the reality for months at a time you can enjoy the white stuff and keep your fitness. Cross-country skiing, snowshoeing, and ice skating are fantastic ways to get your heart rate up. 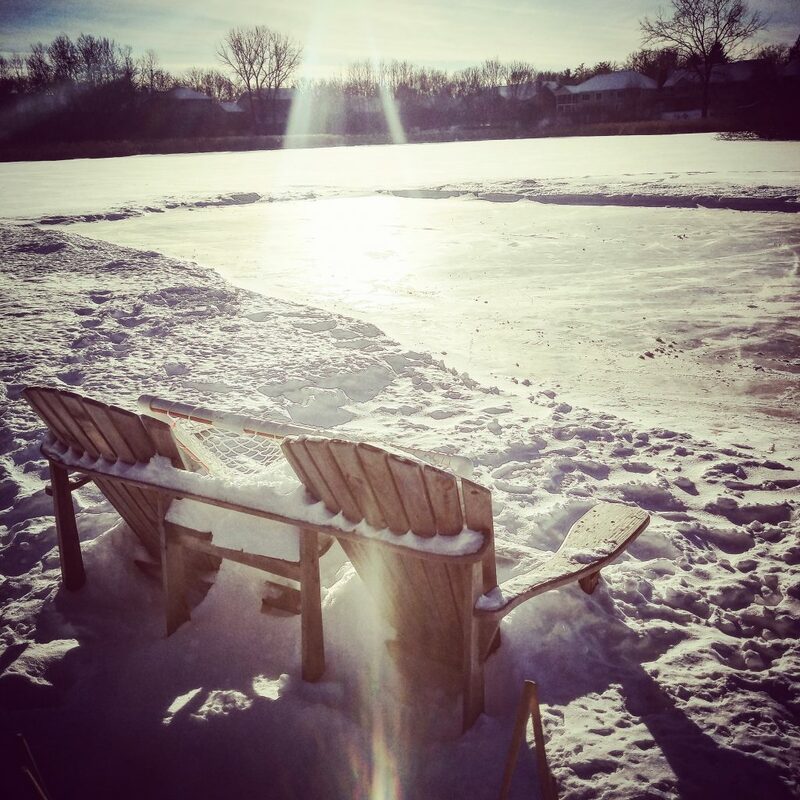 I love skating on our pond with my boys because one, I’m not good at it, so I get to use new muscles and two, I have to work hard to keep up with them. However, you find your fitness through the winter, enjoy your time off the bike. The brief time between fall and spring is perfect to strengthen new muscles, work on flexibility, and let your body recover from a full season of cycling. Additionally, time off the bike always makes me more excited to get back on it once the weather clears. This entry was posted in News and tagged bike in the winter, biking indoor, biking indoors, cld weather riding, fat bike, indoor shop ride, indoor shop rides, shop ride, shop rides, spin class, spin classes, staying fit, Staying in shape, trainer, trainer rides, trainers, Winter Biking, winter riding, winter training, yoga for bikers, yoga for cyclists on December 7, 2018 by John Brown.